We are an experienced player in the industry having expertise in providing Structural Fabrication services. We ensure that that the Structural Fabrication that we offer is durable and widely known for its long-lasting qualities. We ensure that the superior quality of our Structural Fabrication is maintained through regular checks by our experts. We have specially accomplished this service in order to meet varied requirements of different industries. This service is available in all kinds of regular and irregular structures in the commercial as well as industrial premises. We hold the specialization in offering widely demanded Erection of Mineral processing Plants to our prestigious clients. To manufacture these plants our professionals use quality tested raw materials that are sourced from trustworthy vendors. Before delivery, these plants are rigorously inspected by our professionals to ensure delivery of flawless products. 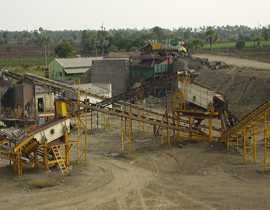 Offered plants are also used for ore processing of desired products. Our Stone Crushing plant includes vibrating feeder, jaw crusher, impact crusher, vibrating screen, belt conveyor and centrally electric controlling system, etc. The designed capacity is from any size to meet customer's specific requirement, we can also add other equipments such as cone crusher, dust catcher on the production line. It is the natural resources and used for the constructions of residential and commercial buildings, streets, bridges, canals, flyovers & other infrastructure activities, etc. 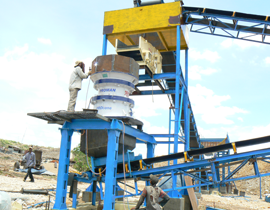 Stone Crushing is the one of the crude material which is used consistently over a last period of times. With the help of high-tech modern technology the growth of crude material is used more habitually for the development of construction purposes in innovative way and became the backbone of the industrial sector. For any construction purposes the value of crushed stone with other crude materials are more important. 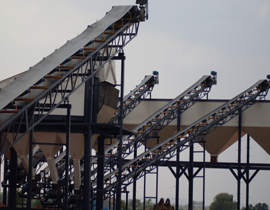 We are one of the exceptional stone crushing industries in India who has set a benchmark in stone crushing.